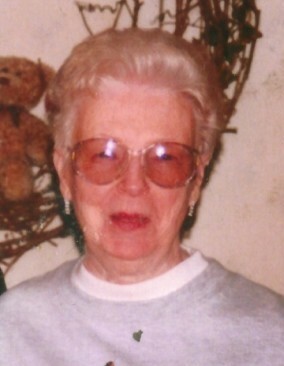 Elma Jean Hooper, 85, passed away November 25, 2018 at her residence after a few years of illness. She was born June 18, 1933 in Point Pleasant, West Virginia the daughter of Ott and Edith (Nott) Neville. She is survived by a son; John T. Neville, of Indianapolis, Indiana and several nieces and nephews. She was preceded in death by her husband; Jerry C. Hooper, sisters; Evelyn Duncan, Margurite Wray, Pauline Neville, Phyllis Dyer, Cathleen Whalen and April Neville, brothers; Charles Neville, Everett Mayes, William Mayes and Jimmy Neville. Elma Jean retired from International Harvester and Rolls Royce of Indianapolis, Indiana. Elma Jean’s family wishes to give special thanks to Christine Evans and niece and nephew Jill and Jay Flax for their loving and compassionate care the past few years. Funeral services will be held at 1:00PM Saturday in Rose Hill Burial Park Chapel with Pastor Jeff Woodroof officiating. Friends may visit with the family from 12:30PM until the time of the services in the chapel. Entombment will follow. Memorial contributions may be made to Grace Hospice, 3033 Kettering Blvd., Suite 220, Moraine, Ohio 45439. Arrangements are being handled by the JONES-KENNEY-ZECHMAN FUNERAL HOME. Condolences may be shared at www.jkzfh.com.